Connecting systems together is a challenge. You need to see all of your data together without having to wait a month to run a report. By the time that happens, you could’ve missed an opportunity. Or worse - a problem. That’s why having your customer facing data integrated is so important. We work with our clients to identify their priorities and work with them to develop an integrated stack that addresses their needs. 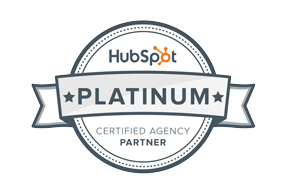 We have a few key solutions we recommend to almost all of our clients (namely the HubSpot Growth Stack), and then an expanded network of services that we integrate depending on their specific needs. We’ll work with you to identify the right solutions for your company, integrate them, and work with you on an ongoing basis to identify new opportunities to expand your systems or to become more efficient. Everyone needs a solid CRM to connect to. This is where all of your customer data is stored. If you don’t feel comfortable with your CRM, or it doesn’t provide integrations to the systems you use or need, it may be time to revisit which CRM you use. We’ll work to establish your CRM as your key data system, and then integrate services with it to support your marketing, sales, and customer service teams. The end goal is to have one central hub that everything can communicate with, and one single place to store data. Even with a fully integrated growth stack, it can still be challenging to have one place for all your reporting. That’s why we’re a Databox Premier Partner. By integrating everything into one reporting layer, Databox allows you to see key metrics across all of your systems, giving you the complete picture of how your sales and marketing programs are working together.